If you haven’t heard of Elle and Blair Fowler (http://www.elleandblair.com/), google them right now. These two gorgeous girls are sisters who post beauty and style-related tutorials on YouTube under the monikers AllThatGlitters21 (Elle) and juicystar07 (Blair). It was older sister Elle (23) who first started vlogging in the summer of 2008, and then convinced Blair (18) to film videos, too. Well, chalk it up to their cute style and easy demeanor, but these girls are now downright stars and two of the most recognized and influential social media personalities in beauty and fashion. As of July 2011, Elle’s videos on AllThatGlitters21 have been viewed more than 82 million times, while Blair’s channel juicystar07 has received over 142 million views (Source: Wikipedia). They’re so popular that the sisters were nominated as a duo for the 2011 Teen Choice Awards for “Choice Web Star” category, but unfortunately lost to “Friday’s” Rebecca Black. 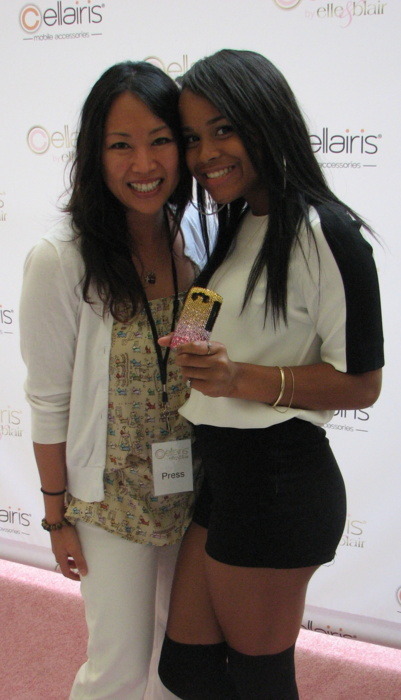 That being said, I was very excited to be invited to their launch for their super stylish cell phone case line for Cellairis this past Tuesday at The Beverly Center in Los Angeles. Their partnership with Cellairis, an Atlanta, Georgia-based company that is fast becoming the Nation’s most trusted cellular accessory specialty retailer, is such the right fit for them. According to Blair, it makes sense to have a fashionable cell phone case since we use our cell phones all the time. She’s right – we’ve got cute bags and wallets, so why not accessorize our most-used accessory? 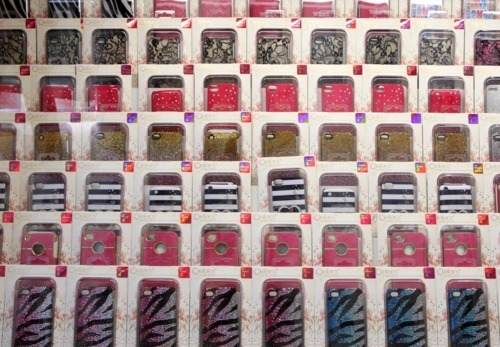 The Cellairis by Elle and Blair collection features nine case lines compatible for several iPhone, Blackberry, HTC and Droid models. Using a range of materials and textures – from leather and lace to refined crystals – all styles reflect the fashion-forward design aesthetic that defines the Elle and Blair brand. They are all really cute and range from $19.99 – $49.99. My favorite? The Elle & Blair Quilted Glimmer Case in Leather Pink. Adorable! Also on-hand to celebrate the launch were Mark Indelicato from “Ugly Betty” and cutie-pie Samaria Smith (model, daughter of LL Cool J), who had her Cellairis by Elle & Blair phone case in hand. The first 100 people to arrive received signed cases by Elle & Blair, and you should have seen the line snaked around the floor! 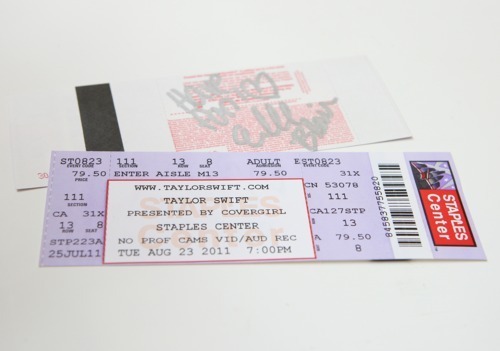 There were over 500 people there, with many of the girls from afar. I spoke to one mom who told me they planned their family vacation around this launch event! Clearly, Elle and Blair have dedicated fans, and they definitely have at least one more (me!) 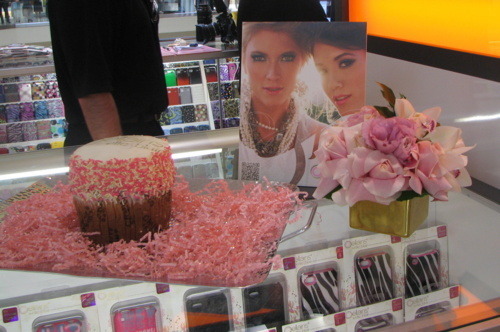 They were so poised and beautiful in person, and I really do love their cell phone cases – absolutely gorgeous! For more information, check out www.cellairis.com. The beautiful display with a photo of Elle & Blair in the background. LL Cool J’s daughter, Samaria Smith, holding her case – the Summer Glow in Gold. Cute! Me with Samaria! How pretty is she??? I think we must be talking wardrobe here? Blair is wearing BCBG Max Azria and Elle is wearing Free People. Me? I’m wearing my Everly Dog Print top from T.I.L. Darling. Treats! 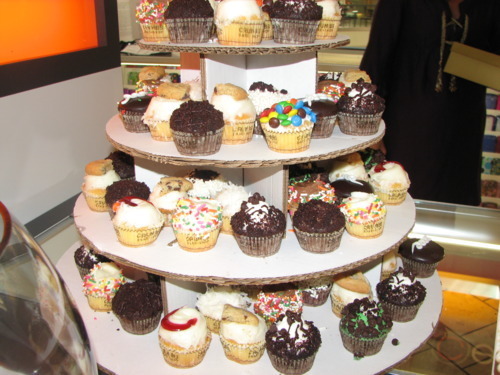 Delicious cupcakes from Crumbs Bake Shop. And tunes by DJ Alex Merrell. Elle and Blair getting ready to sign cases for the first 100 fans. Look at all the excited fans waiting eagerly in line! 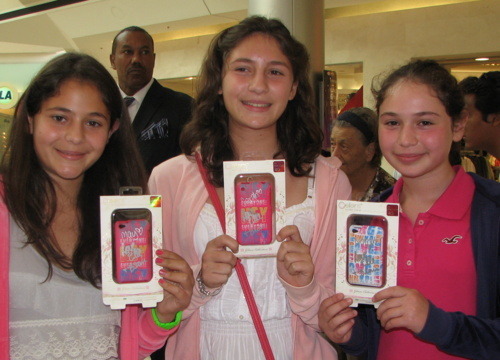 3 very happy fans with signed cases! 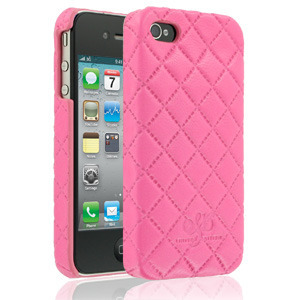 The Elle & Blair case I want – Quilted Glimmer Case in Leather Pink for $27.99. Cute, right?